As federal budget cuts overwhelm Head Start programs from coast to coast, it can become essential for administrators to look for new ways to reduce supply costs in order to stretch their annual budget. While the primary goal of these programs is to provide education, medical and nutritional services to children and families living below the poverty line, it can be a full time job for administrators to figure out how to keep their costs under control. It is possible to reduce the costs associated with an annual Head Start budget without cutting essential services, supplies and programs for the children of the community. This article will focus on several ways that administrators can make some basic adjustments that will not only reduce supply costs and provide for better purchasing management, but also to discover new methods that will help them to adjust to federal budget cuts. One of the largest expenditures for Head Start budgets and other educational programs is monthly utility costs. One way to cut down on unnecessary use of heating or cooling systems is to purchase a digital thermometer to be used for checking the temperature of a room before boosting the HVAC system. Determine a comfort zone for temperature within your facility and try to keep each room within that range. Studies show that by lowering the thermostat by just one degree, as much as three percent of the monthly utility bill can be cut. Additional savings can be made by investing in a digital thermostat to control the temperatures when the facility in use and when it is closed after hours. 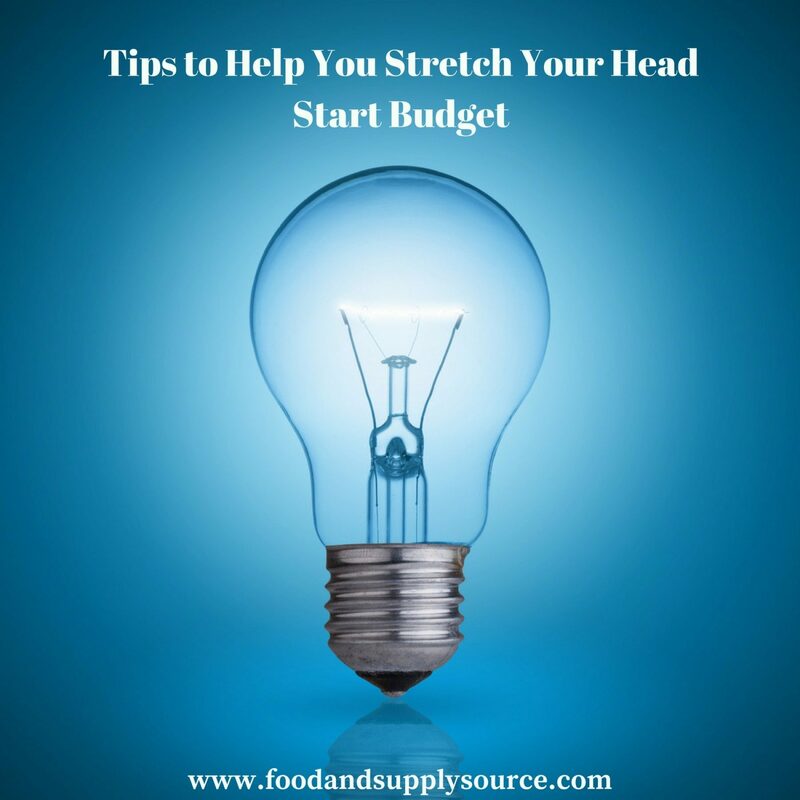 One of the fastest way to see improvements in your Head Start budget is to learn how to improve your supply purchasing management. Supply Source Plus is a free service that will perform a supply cost analysis and help you find new ways to reduce supply costs across the board. They work with vetted suppliers to get their clients the best possible rates for things they buy all the time, like toilet paper, paper towels and office supplies. In fact, most of the clients who work with Supply Source Plus report savings of 10-35 percent off their annual budget. Another way to reduce supply costs is to pay attention to how much supply waste is happening at your facility. While your Head Start budget allows for office supplies, paper products and cleaning supplies, there isn’t much room for waste. Supply Source Plus can help you monitor your stock of supplies, track how often you are having to replenish your supplies and how much you are actually using. Even after you begin working with Supply Source Plus for your purchasing to reduce supply costs, keeping track of your usage of these products can help you to stay within your Head Start budget. Many administrators are learning how to keep their doors open despite federal budget cuts. Another reason why many Head Start budgets are out of control is due to the amount of money required to pay for outside services. In addition to finding new ways to reduce supply costs, Supply Source Plus can help Head Start administrators to negotiate the best possible pricing for services such as accounting, administration and even background verification services. The team of professional supply and service purchasing experts will evaluate your costs for these types of services and help connect you with quality services that will help you to keep your Head Start budget under control. If you run a Head Start program and are looking for new ways to reduce supply costs in response to federal budget cuts, contact Supply Source Plus. This free service can provide you with a full cost and purchasing analysis to show you new ways to help lower your overall Head Start budget by reducing supply costs, service costs and other associated expenses. Use the online contact form or call Supply Source Plus toll free at 1-866-248-4520 to schedule a free review of your Head Start program.